Registered nurses working in the medical-surgical specialty area will eventually want to take the ANCC Medical-Surgical Nursing board certification examination. Receiving this credential recognizes the registered nurse as having the knowledge and skills required to provide the highest quality of care to their medical-surgical patients. After obtaining the certification requirements and successfully passing the medical-surgical exam, the candidate is awarded the credential of Registered Nurse – Board Certified (RN-BC). This credential is valid for 5 years and can be renewed by meeting the renewal requirements. What is the Medical-Surgical Nurse certification? The Medical-Surgical Nurse certification is a certification in the medical-surgical nursing specialty. This certification shows that the nurse has the knowledge and skills to work in the medical-surgical specialty area. How much does it cost to take the Medical-Surgical Nurse exam? The regular fee to take the Medical-Surgical Nurse exam is $375. For those who are AMSN members, the exam fee is $255. Both of these fees include a non-refundable processing and administration fee of $75. How do you become Medical-Surgical Nurse certified? To become a certified Medical-Surgical Nurse, you will need to have an Associate’s Degree in Nursing or a Bachelor’s in Nursing. If you’re a newly graduated nurse, you can find an internship program for the medical-surgical specialty at many hospitals. If you’re an experienced nurse, you can choose to transfer into the medical-surgical unit to obtain training. Is the Medical-Surgical Nurse exam all multiple choice? The Medical-Surgical Nurse exam is all multiple choice. The exam contains 175 multiple choice questions. How long do you have to take the Med-Surg Nurse test? The Med-Surg Nurse exam is timed for three hours. How do you sign up for the exam? The first step in become Medical-Surgical Nurse certified is to make sure that you are eligible to take the exam. Once you have verified your eligibility, you will then be able to complete the application to sit for the exam. Three to five weeks after submitting your application, you will receive your exam permit. When you receive this, you will be able to schedule your exam. What is the pass rate for the Medical-Surgical Nurse certification test? Between 2013 and 2017, the pass rate for the Medical-Surgical Nurse exam has been between 78% and 81%. What is a passing score for the Medical-Surgical Nurse exam? The passing score for the Medical-Surgical Nurse exam is a score of 95, which is roughly equal to 71% correct. How many questions are on the Medical-Surgical Nurse test? The Medical-Surgical Nurse test contains 175 questions. Out of the 175 questions, 150 are scored while the remaining 25 are pretest questions that are not counted towards your final test score. Eligibility requirements to apply for the ANCC Medical-Surgical Nursing board certification examination include holding a current, active RN license in the United States or the legal equivalent in another country, a minimum of 2 years work experience as a full-time registered nurse, a minimum of 2,000 hours of clinical practice in the medical-surgical nursing specialty within the last 3 years, and the completion of 30 hours of medical-surgical nursing continuing education within the last 3 years. The medical-surgical nurse exam is a computer-based test consisting of 175 questions. Only 150 of those questions are scored and calculated in your final test score. The other 25 questions are pretest questions and are not included in your final test score. These pretest questions are being considered for future tests and are being evaluated before becoming part of the scored questions. On the exam, there is no distinction between the test questions and the pretest questions so you must answer all questions to the best of your ability. The medical-surgical nursing exam allows 3 ½ hours for completion. You will receive a test result of pass or fail immediately upon completion. If a failing grade is received, your results will also include diagnostic information indicating your proficiency in each content area. Each content area will indicate if you scored low, medium, or high in that area. Prometric administers all medical-surgical nursing exams. Candidates can submit an application to take the exam at www.prometric.com. Prometric testing centers can be found all over the United States. Testing can be scheduled Monday through Saturday with the exception of holidays. The med surg nursing exam contains questions from four domains of practice: Assessment and Diagnosis; Planning, Implementation and Outcomes Evaluation; Professional Role; Health Teaching and Health Promotion. The Assessment and Diagnosis domain of practice consists of 22 questions making up 14.67% of the exam. This domain is broken down into 3 content areas. The first content area is Gather Comprehensive Patient Data and assesses knowledge of health histories, psychosocial assessments, diagnostic studies, test results, and anatomy and physiology throughout the life span. These questions also evaluate skills in data collection from various sources and using age appropriate and developmentally appropriate physical examination techniques. The second content area is Analyze and Synthesize data to Identify Patterns and Variances. The questions in this area evaluates knowledge and skills related to age-appropriate physiological changes, psychosocial changes, diagnostic studies, abnormal function caused by disease processes, appropriate procedural interventions, positive or negative effects of possible treatments, determining accuracy of information, recognizing the need for treatment due to emergent or non-emergent situations. The last content area in this domain is Nursing Diagnosis which includes knowledge of the NANDA-I taxonomy and skills in formulating nursing diagnoses and developing problem lists. The second domain of practice is Planning, Implementation and Outcomes Evaluation which consists of 50 questions making up 33.33% of the medical-surgical nursing exam. This domain contains 6 content areas: Prioritize Nursing Diagnoses or Problems, Formulate Expected Outcomes, Develop an Individualized Plan of Care, Implement Nursing Interventions Consistent with the Plan of Care, Coordinate Patient Care, and Evaluate the Effectiveness of the Plan of Care. The third domain of practice is Professional Role which consists of 45 questions encompassing 30% of the exam. This domain contains 3 content areas. Therapeutic Relationships evaluate your knowledge and skills in areas such as grief, the effects of various psychosocial factors on patient care, communication with patients and those that care about them, and maintaining appropriate boundaries with patients. Improve the Quality of Nursing Care Delivery assesses knowledge and ability to acquire data and analyze it to identify problems, professional communication among team members, healthy work environments, and effective leadership. The last content area is Comply with Ethical, Legal, and Regulatory Requirements in Nursing Care Delivery and Management. These questions assess knowledge and skills in recognizing and handling various types of violations, legal and regulatory requirements, accreditations, and codes of ethics. The fourth domain of practice is Health Teaching and Health Promotion which consists of 33 questions comprising 22% of the medical-surgical nursing exam. This domain consists of two content areas. The first content area is Education and contains questions related to teaching and learning principles, methods and modes of education, self-management tools such as home dialysis and feeding tubes, and the development, implementation, and evaluation of education plans. The second content are is Health and Wellness of Individuals and Populations which contains questions related to support for care providers, risk factors for specific populations, health care delivery methods such as home visits and mobile clinics, assessing needs of specific populations, coordination of patient care with various agencies, management of chronic diseases, and implementation of disease prevention and health promotion strategies. With so much material covered on the medical-surgical nursing exam, adequate preparation is crucial. 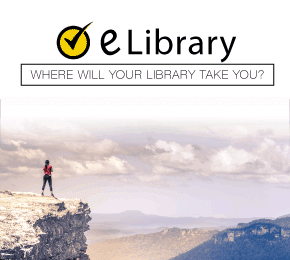 The world’s #1 test preparation company, Mometrix, has developed all the study materials you need. 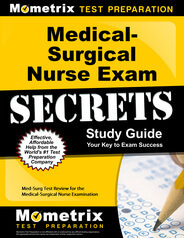 The Medical-Surgical Nurse Exam Secrets Study Guide developed by our team of test researchers includes the specific content and skills that you must know to achieve success the first time. 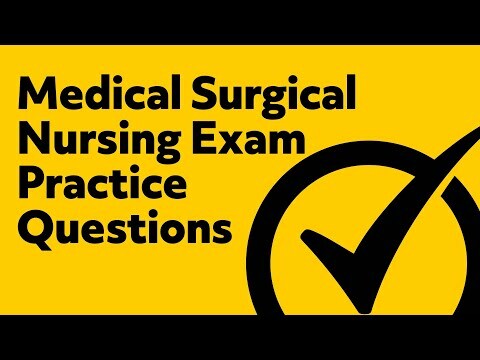 Our medical-surgical nurse exam guide includes practice test questions so you can determine if you are ready for the exam or if you need to review the material again. The practice questions include detailed explanations so you can not only know the correct answer but understand why it is the correct answer. The Mometrix medical-surgical nurse exam study guide also provides important test taking tips. 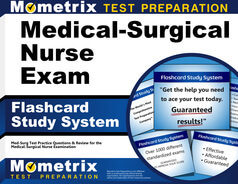 Mometrix also offers the Medical-Surgical Nurse Exam Flashcards. Our test researchers have taken the critical concepts you must know for the medical-surgical nurse exam and put them on professional quality flashcards providing you with an easy-to-use learning method. These flashcards also include practice test questions and study tips. 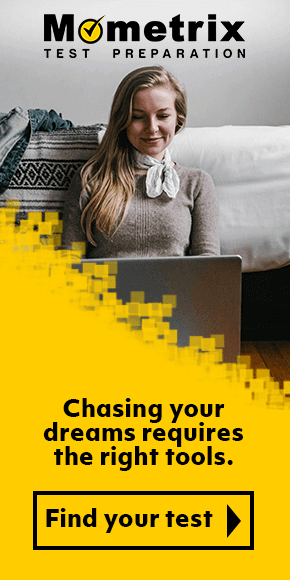 Because we are so confident that these study materials will help you achieve success on the medical-surgical nurse exam, the medical-surgical nurse exam study guide and the medical-surgical nurse flashcards come with a risk-free, 1-year 100% money-back guarantee so you have nothing to lose. Order the Mometrix Medical-Surgical Nurse Exam Secrets Study Guide and/or the Mometrix Medical-Surgical Nurse Exam Flashcards today and take the next step in advancing your nursing career. Mometrix Academy is a completely free medical surgical certification resource provided by Mometrix Test Preparation. If you find benefit from our efforts here, check out our premium quality Medical Surgical Nurse study guide to take your studying to the next level. Just click the Medical Surgical Nurse study guide link below. Your purchase also helps us make even more great, free content for test-takers. Our customers love the tutorial videos from Mometrix Academy that we have incorporated into our Medical Surgical test study guide. The Medical Surgical study guide reviews below are examples of customer experiences. I studied about a month before I tested. The tips for testing were helpful and the content helped to condense to know what to study. The questions were good especially with the narratives of each question. I passed of my first attempt so I will give it a 5 star!!! I find this book to be very helpful. I love how it contains both significant nursing information along with practice questions. I recommend this book to everyone who is studying for the Medical-Surgical Nurse Certification Exam. This product is an excellent study guide. I enjoy the variety of questions and corresponding rationales. Often you get refreshed in 2 or 3 topics in the course of 1 question. The study guide is laser focused on key information. This is giving me the prep I need without a lot of fluff. Keep up the amazing work. This definitely helped me pass the med-surg exam. It’s a quick paced reference guide, so I didn’t have to do all the research myself. I passed in one try! This exam prep was a great basic review that covered the outline of the ANCC RN-BC exam. It was very general, but that’s all I needed for the exam. Medsurg is a very broad topic in the scope of nursing practice, and this book did the trick. I’ve recommended it as a study guide to my coworkers. I thank you for this book I have been a nurse for 30+ years it has served as a fantastic refresher for me. The information provided is invaluable I plan to read this entire book at least three times from front to back before my test. It deals with all the body systems and that is great. It is a great study guide. This book has been very helpful in helping me study for my upcoming med surg certification exam. It’s very brief and to the point. I especially love the review questions and answers guide with rationale. I highly recommend this book for review for the med surg test. Many of the nursing books, especially medical surgical books, are overwhelming with its content. This book seems to be different. It is composed of the nursing process. Nursing process is a systematic method of providing nursing care. Its components are assessment and nursing diagnosis, planning and outcome identification, implementation and evaluation, which are all here in this book. Usually, in medical surgical book of nursing, nursing process is just at the end part of each body system. In this book, nursing process is thoroughly explained. The diseases are broken down in each body system in accordance to the nursing process. The importance of medical surgical nursing is not just about knowing our body system and its diseases or disorders but to know how to apply the knowledge, so that you are able to give exceptional care to your patients. This book helps you being good not only in medical surgical nursing but also when caring for your patients. Because of its assessment, which is really detailed, is the reason you will be guided accordingly to the right nursing diagnosis. You should take towards the right planning, implementation, and evaluation. The most important component in nursing process is assessment. If your assessment is wrong, everything will be wrong and you won’t get a good outcome in your evaluation, because in the first place that is not the problem of your patient. Taking the medical surgical nursing is the application of what you will learn from this book. This book is incomparable because it already relates and applies the knowledge about medical surgical nursing to an individual. It seems to help you more on situational questions that are usually the questions in medical surgical nursing exam as well as the other nursing exams. It is complete enough by having its tips, tricks and test strategies. Aside from that, it also has secrets to ace the test and it’s up to you to find out. I really like the book as it is thin, not bulky. It has concise, to the point course material for easier comprehension. I love the way the disease processes are briefly outlined with all factual material needed to understand the disease entity. I am an older, seasoned nurse of 38 yrs. I work primarily in an Ob-Gyn , Gyn Oncology Presurgical unit and a lot of diseases processes have become vague to me; thus, this book provides a refresher course for me. We are broadening our scope of patients and we now see a wider array of sicker pts. stemming from all kinds of medical surgical, breast cancers, etc. Therefore in order to help these pts., I need to become familiar with my patients existing disease processes and the associated related surgical effects, if any, on their conditions. This book is also ideal in helping me review my patients medical surgical background and is very much helpful for me in preparing to take the certification exam in the Spring 2016. I love this book and I am looking forward to learning as much as possible through this medium. Thank you so much Mometrix for this book. The concepts are easily understandable.